What Will Football Games Look Like After the NFL? As health concerns and political skirmishes cause NFL ratings to decline, we must think about what football video games will look like after the NFL. Allow me to be blunt—professional football, as we know it, is dying. By all accounts, the National Football League is the twenty-first-century tobacco industry. Dogged by public health concerns and tarnished by unwinnable political skirmishes, Sunday has become just another day of the week to many sports fans. According to a report by ESPN, the average Sunday Night Football viewership has seen a consistent decline over the last few years, falling to a loss of 4.347 million viewers between 2015 and 2017. Not only is the NFL losing fans, but it’s failing to create new ones. According to a 2014 survey conducted by Sports Business Journal, 61% of millennials believe that the NFL is a “sleazy” organization. And that was four years ago—before the NFL’s blatant mismanagement allowed its very existence to be a highly sensitive, political issue. While these numbers pose questions about the longevity of the Madden franchise, it seems less likely that football games would go under than the NFL itself. 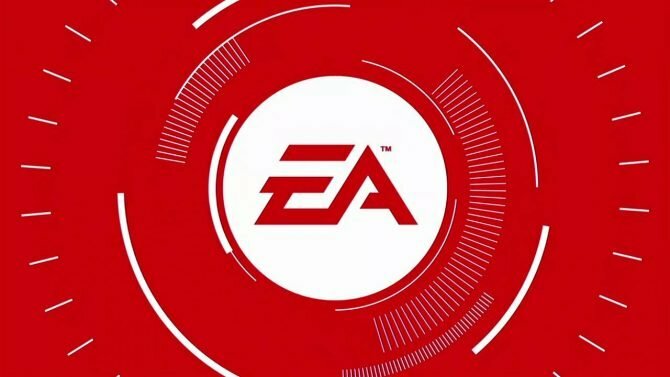 Think about it— all of the NFL’s biggest problems are completely, antithetically non-existent within the confines of football video games. Players don’t have to worry about their virtual avatars getting chronic traumatic encephalopathy (CTE) or suffering other degenerative diseases from life on the gridiron. Players don’t have to worry about their virtual players getting arrested on assault charges or starting dog fighting rings, nor do they have to worry about how players conduct themselves during the National Anthem. If football is truly following in the footsteps of boxing, another sport marred by public health concerns, it will inevitably lose prominence. Audiences will no longer be able to stomach the real-life physical complications that arise from playing a game, regardless of how much money each player is banking. However, these are problems that don’t exist in a video game. We don’t play Call of Duty and reflect on the people killed, nor do we play Pokémon and reflect on the creatures we force into battle. Gaming has always relied on the suspension of empathy; families that play Monopoly would never want to bankrupt each other in real life, children playing Operation would never task themselves with the horrifying task of removing someone’s organs without a modicum of medical experience. Football can find an avenue for survival in the gaming industry; an industry that has constantly made its bread and butter on the suspension of disbelief. Through this, we must wonder how football video games will look with a scaled-down NFL, or more poignantly, how will football games look without the NFL? To answer that question, it’s important to look at the current state of sports games. 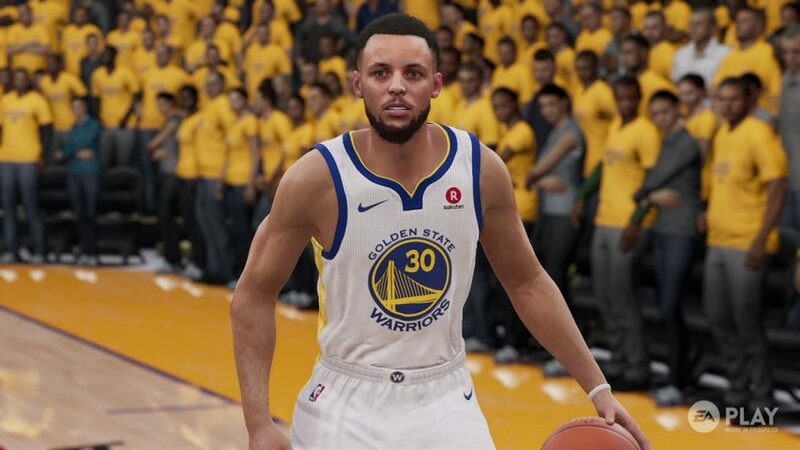 Recently in an interview with DualShockers, the developers of NBA Live 19 stated that Electronic Arts would not be weakening the Golden State Warriors. While this may prove to be annoying when playing against anonymous Kevin Durants online, it makes sense. All contemporary sports titles strive for authenticity, even when it’s to their detriment: players get yellow cards in FIFA, baseball pitchers tire out in MLB: The Show, and players get hurt in virtually any contemporary sports game. However, what happens when there’s no need to perfectly simulate a sport? What happens when the sport you’re simulating doesn’t exist anymore? What happens when Madden ceases to be a game and serves only as a simulacrum of a forgotten past? The death of professional football could, ironically, provide new life to football games. Instead of focusing on crafting photorealistic player models or scrupulously ranking every player in the league, developers can focus on adding new mechanics that focus less on realism and more on making games more fun. Through this shift, game developers can focus on making football games less about the limitations of human beings, and more about the limitless experiences that games as a medium provide. What would happen if players were able to construct forts a la Fortnite? What if you replaced the players with cars a la Rocket League? The gaming market has proved that there’s a space for quirky, off-beat sports titles. Mario Tennis Aces, one of my favorite games of the year, combined tennis with fighting game mechanics. Blood Bowl already combined American football with high-fantasy turn-based strategy. 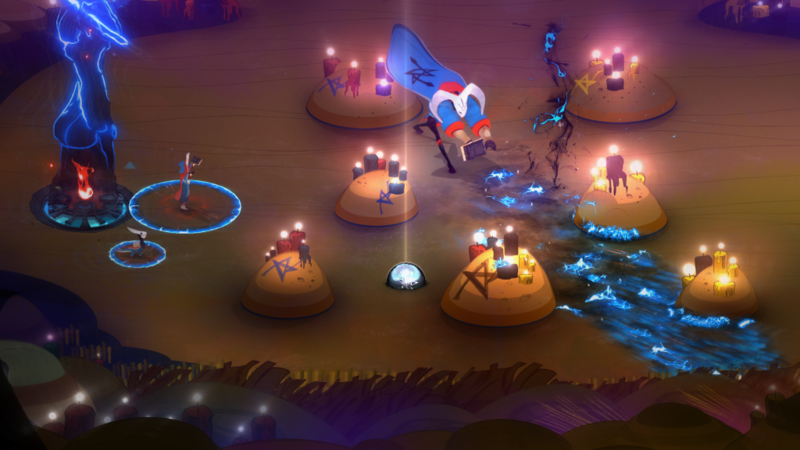 Pyre combined basketball with role-playing games. Slam Land combined basketball elements with a platform-fighter. The market for new, innovative sports games is riper than ever. 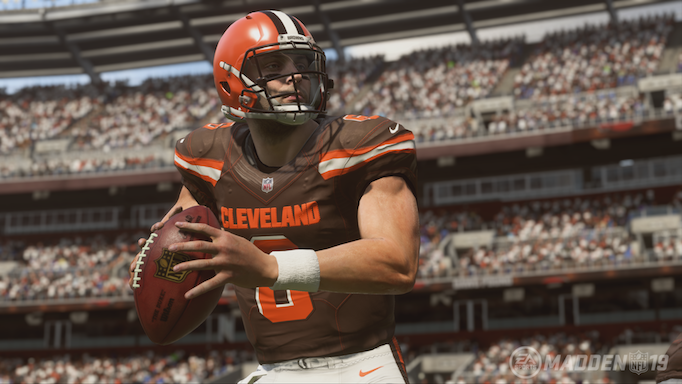 Since the beginning of gaming, developers have aimed to make sports games as realistic as possible. From the days of the Nintendo Entertainment System’s black box games (charmingly-titled things like Hockey and Baseball) to the most recent iteration of every annualized sports title, developers have been preoccupied with bottling reality; taking the sports that millions enjoy and selling them to the general public. However, game development technology has surpassed reality. The floodgates to new experiences are wide-open. The likelihood of me becoming a pro quarterback in real life is the same likelihood of me becoming Spider-Man and swinging around the streets of New York. While I would normally not sit down and watch a soccer match, I’ve sunk more than my fair share of time into Rocket League, a fast-paced soccer game that replaces humans with cars. While I understand the appeal of playing an authentic, well-designed sports game, the slow demise of the NFL allows for the repackaging of football into something that fans want more from. Ask any baseball fan how they feel about pitch-counts, defensive shifts, or the existence of the designated hitter: I’m sure you’ll get a variety of answers. However, there’s still no baseball game that allows players to alter their experience from the predetermined parameters of what Major League Baseball considers real baseball. A football game after the NFL would be less interested in what historical rules of football, and more interested in what plays well. While it’s uncertain if professional football will still be a billion dollar industry in fifty years, gaming will presumably only continue to grow. What football games will look like or how we’ll play them, seems to be anyone’s guess. 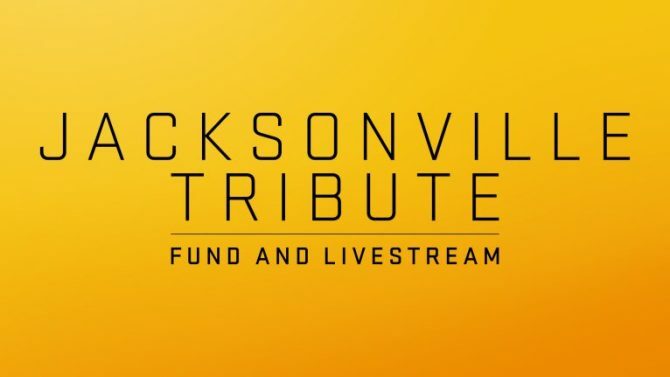 In response to the tragedy that occurred in Florida, EA brought the gaming community together through Madden 19 in the Jacksonville Tribute Livestream.